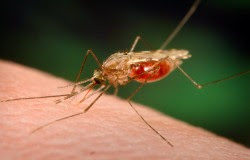 The Ministry of Health says that laws will be formulated regarding foreign passengers who arrive in Sri Lanka from countries where Malaria patients have been reported. Director of the Malaria Erradication Programme, Dr. Sarath Deniyage, said that the relevant parties have been educated in this regard. the doctor further said that twenty eight Malaria patients who arrived in the country were detected at the airport so far this year.